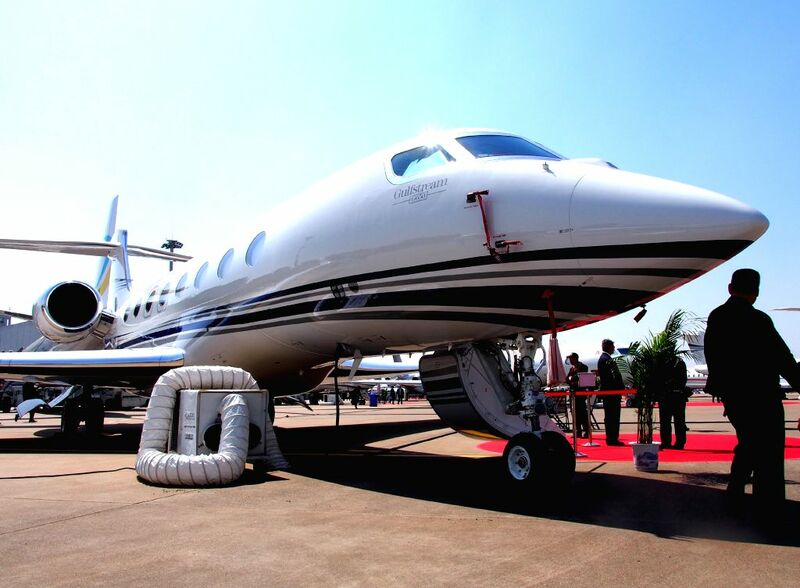 SHANGHAI, April 15, 2014 - A Gulfstream G650 is displayed at the 2014 Asian Business Aviation Conference & Exhibition (ABACE2014) in east China's Shanghai, April 15, 2014. The Gulfstream G650, which has a maximum speed of Mach 0.925, is the fastest business airplane on display during ABACE2014. ABACE2014, Asia's largest business aviation product and services event, kicked off Tuesday in Shanghai. Twenty business airplane manufacturers, including Boeing, Airbus and Bombardier, will take part in the three-day event. 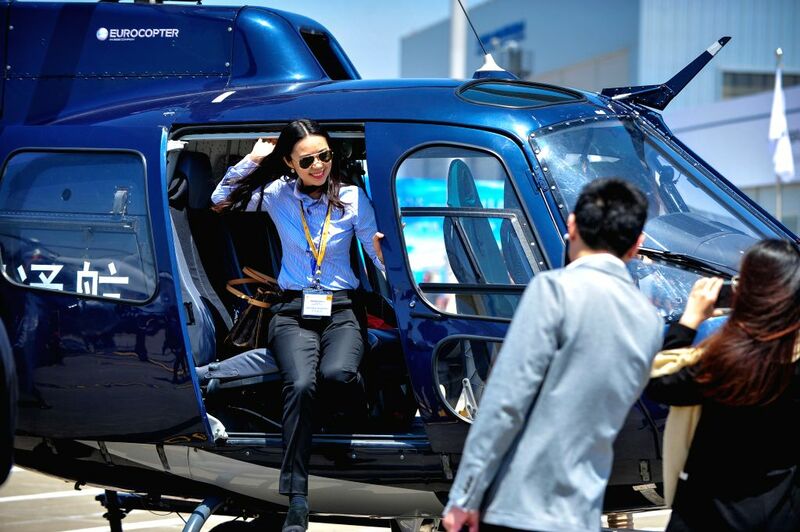 A visitor poses for photos next to an Airbus AS350 Ecureuil business helicopter at the 2014 Asian Business Aviation Conference & Exhibition (ABACE2014) in east China's Shanghai, April 15, 2014. ABACE2014, Asia's largest business aviation product and services event, kicked off Tuesday in Shanghai. Thirty-eight business aircrafts made by 20 manufacturers, including Boeing, Airbus and Bombardier, will be displayed during the three-day event. Their prices range from 3 million yuan (482,000 U.S. dollars) to 560 million yuan (89.99 million U.S. dollars).